Unveil the drama in Artist Colony, a casual Sim masterpiece of love, betrayal and creative genius. Inspire artists, sculptors, dancers and musicians to become masters of their craft. 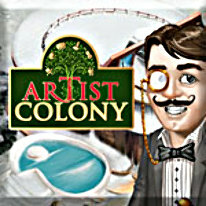 Sell brilliant works of art as you battle the elements to restore a once-thriving Artist Colony and attract new talent.